King Cab is all the rage, and the noble grape of France's Bordeaux region has found the Pacific Northwest to be a hospitable environment. In Washington, the driver is Ste. Michelle Wine Estates, which makes more than a million cases of Cabernet Sauvignon across its myriad brands. Last year they launched Intrinsic, a Cab-focused brand that has taken off nationally. There are several sweet spots in Washington. The Horse Heaven Hills has the highest concentration of Cabernet Sauvignon. Of the region's 15,000 acres of wine grapes, nearly 7,000 acres are dedicated to Cabernet Sauvignon. 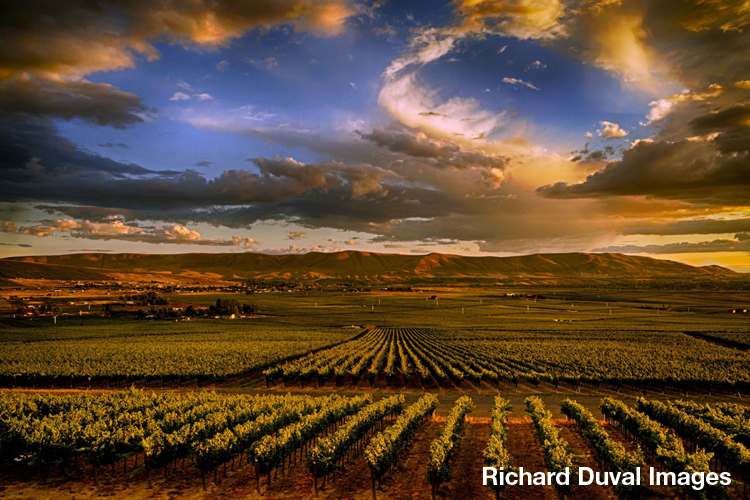 In the Walla Walla Valley, Cabernet Sauvignon makes up 40 percent of the acreage. And on Red Mountain, Cabernet Sauvignon makes up more than 50 percent of the planted acreage. Last year, Washington winemakers crushed more than 70,000 tons of Cabernet Sauvignon, a number that's expected to grow as Ste. Michelle contracts new acreage to be planted each year. Cabernet Sauvignon has become Washington's signature wine. Here are a few examples of Washington Cab we've tasted in recent weeks. Ask for them at your favorite wine shop or contact the wineries directly.